So now I'm back. I gave myself yesterday and the day before to stretch out my goodbye to dairy, and today I'm back to the straight and narrow. Well, kind of. At the moment, I'm out of some Paleo staples (clarified butter, coconut flour, coconut aminos), but I'm substituting the best I can (organic grass-fed butter, tamari) until I get a chance to hit up Whole Foods again. Here's a close-up of the label, below. I purchased a pdf collection of knitting-themed printables from Laylock.org, and it includes a bunch of cool things like care tags, note cards, book marks, bookplates, etc. There are UBER spoilers for this movie, so if you want to be surprised, do NOT read on. I was joined by Becca and my friend/leaguemate Amanda for a fun, easy 5k. 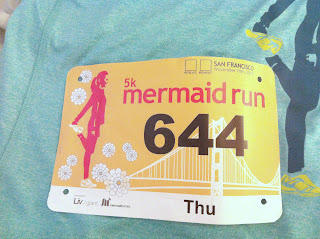 I've done a Mermaid Series race before - they are totally chill, all-female, and very empowering. They have AWESOME, unique participant shirts and cute finisher necklaces. It would be like if the Nike Women's Marathon offered shorter distances and didn't charge you a week and a half's worth of grocery money. I've never tried Illamasqua before, but I've always wanted to - their products seem to lean more "artistic" than "beauty" (and that always gets my attention), and they consistently get good reviews from Temptalia. But I've never known where to start. 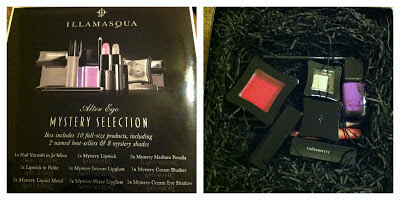 The Illamasqua Alter Ego Mystery Selection seemed like either a good place to start or a bad one, depending on how much you like to gamble. It's a box of 10 full-sized products - two of which you know about ahead of time and the rest of which are a grab bag of mystery shades.